Our first day of GUSTiamO was great! Six kids from the South Bronx learned where Italy is (they seemed to care! ), how olive oil is made (we squeezed an olive! ), saw a plant of basil and drew pictures of tomato plants. 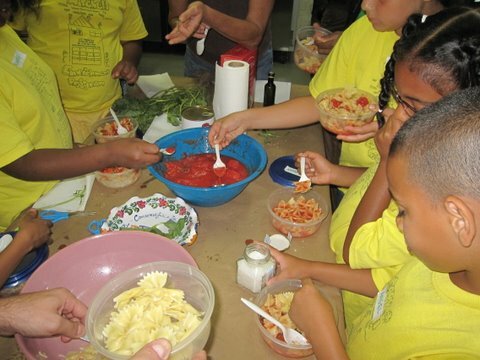 It was fascinating to see them make their own pasta dish and pick with their hands (carefully washed, before) from several bowls with our basic ingredients: farfalle pasta, peeled tomatoes, chopped basil, olive oil and sea salt. They loved their lunch! 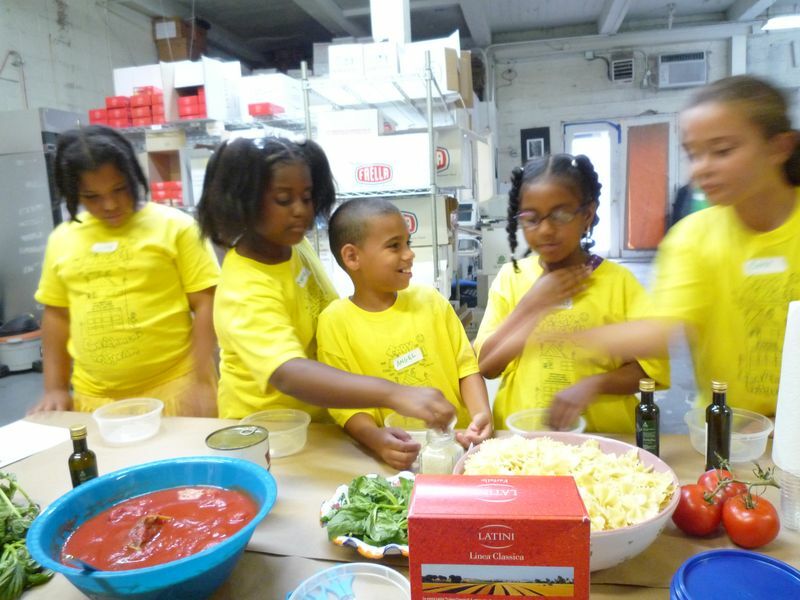 Hopefully, they learned that if they use good and healthy ingredients, they can have a delicious [and healthy]meal. It was amazing to see how curious they were and how fast they learned. They were very well behaved and smart. Nyara said: I wish I could live here! meaning she wanted to move in the warehouse, with us. Angel said: This is the best fun EVER, EVER! For us, too. Thanks to Gail and Heidi for being part of this amazing experience. The next GUSTiamO days are July 20 and July 27. Stay tuned!